Because the Arabs can get a 23mm AA gun to work, but can't get the 73mm ammo anymore? Does anyone know if that was built and used by ISIS or one of the Syrian Factions? Shafrah appears to be the name of a local applique armour package. SP-AAA is clearly being used for direct fire support! 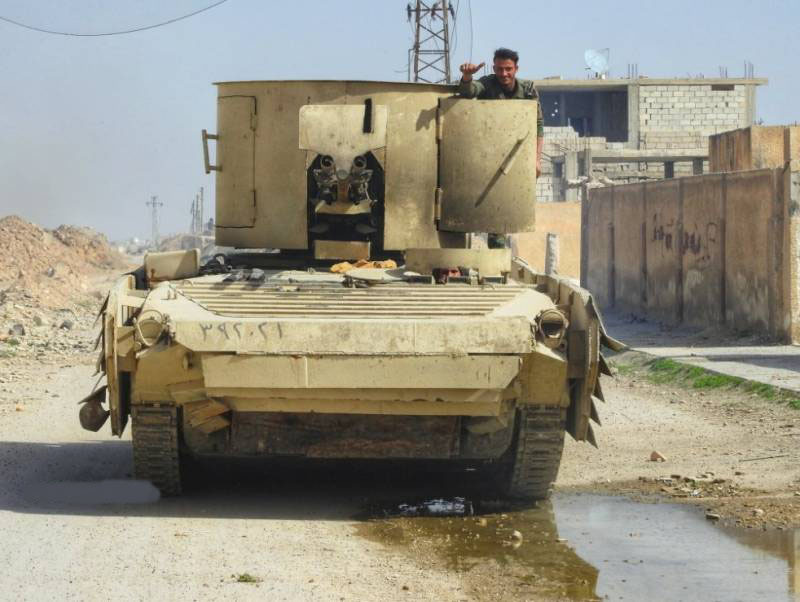 Though for some reason I seem to recall mounting AA weapons on BMP hulls being an Egyptian 'thing'?